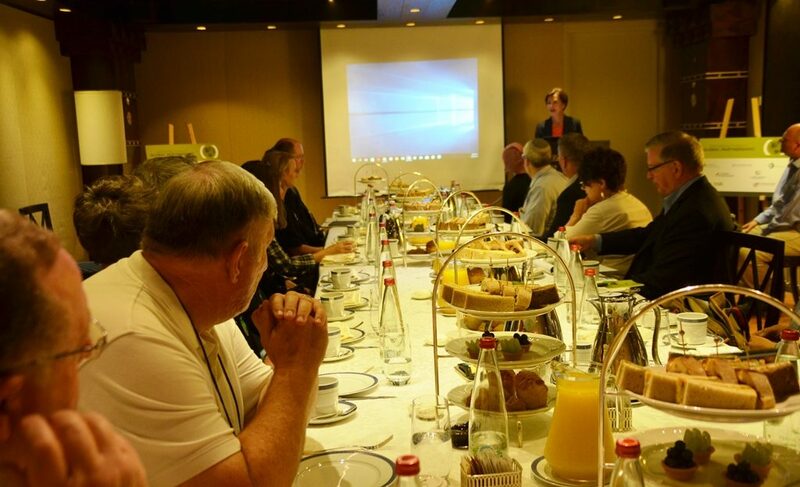 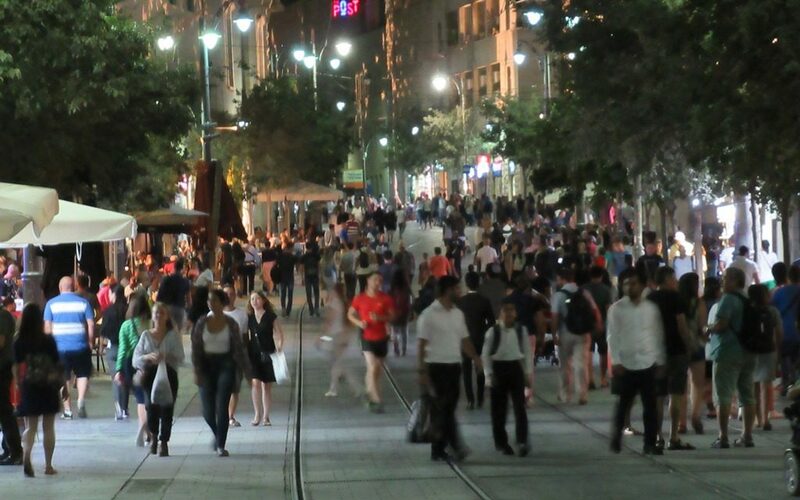 Half of all Israelis are reported to be going overseas this summer. 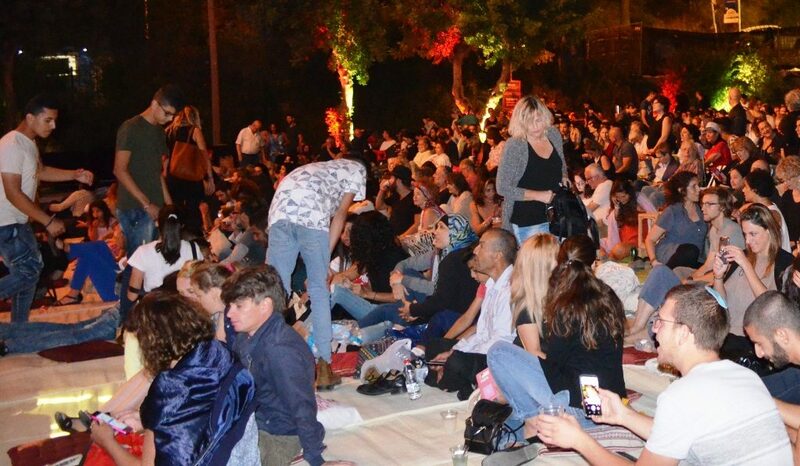 At the same time, however, a record number of tourists are arriving. 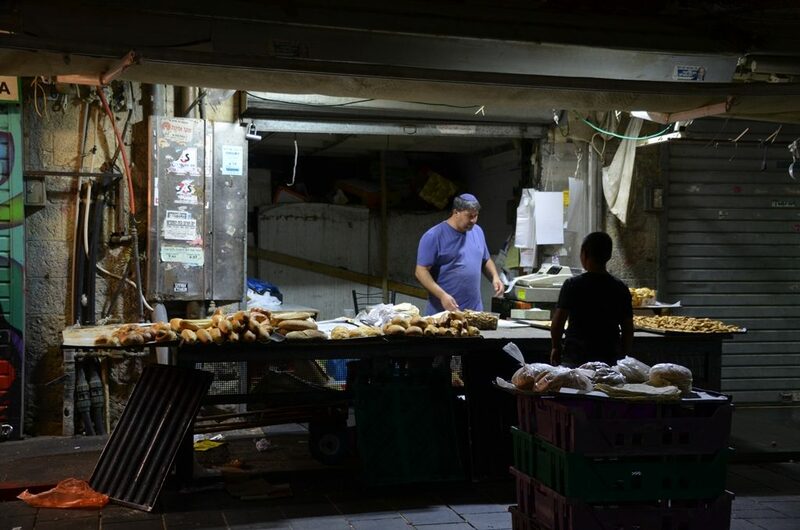 Being out on the Jerusalem, Israel streets early in the morning is not my regular thing. 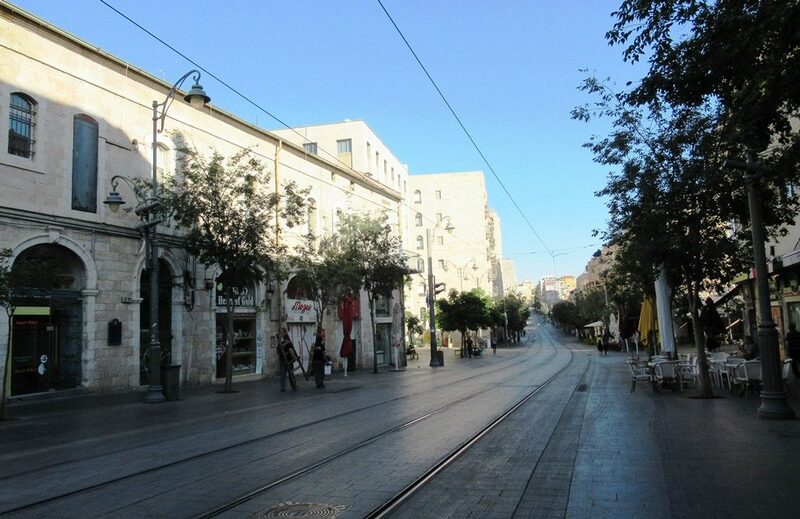 Obviously, I am not alone, as Jaffa Road before 8:00 am was a very quiet place. 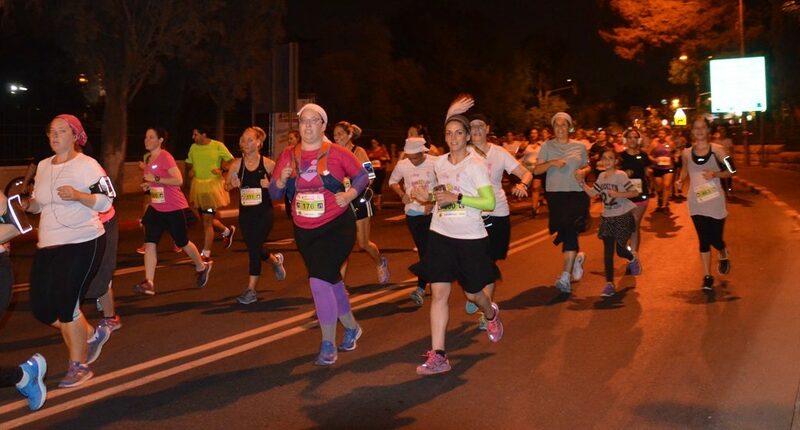 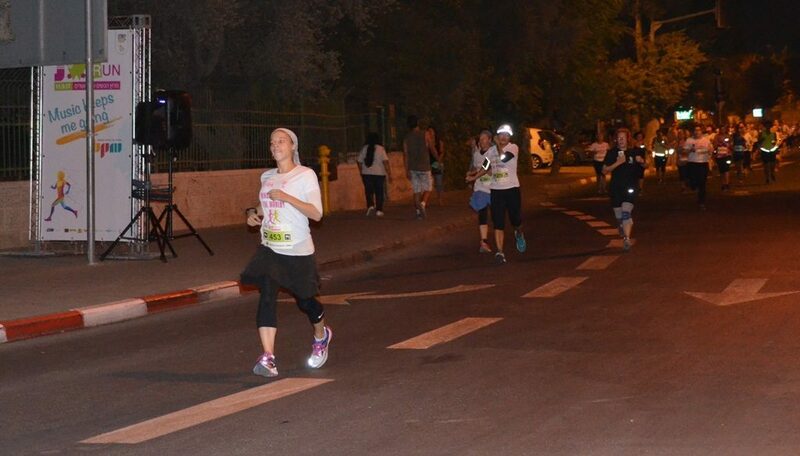 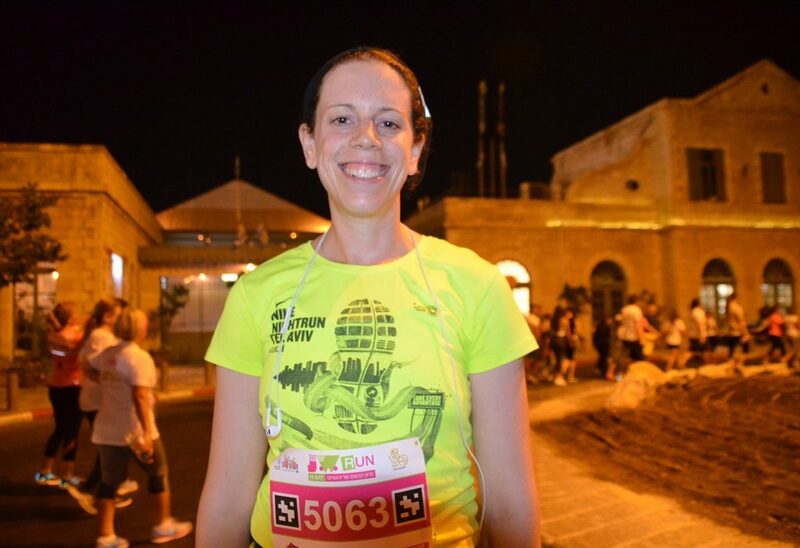 One lone runner came along as I stood near Kikar Zion, Zion Square. 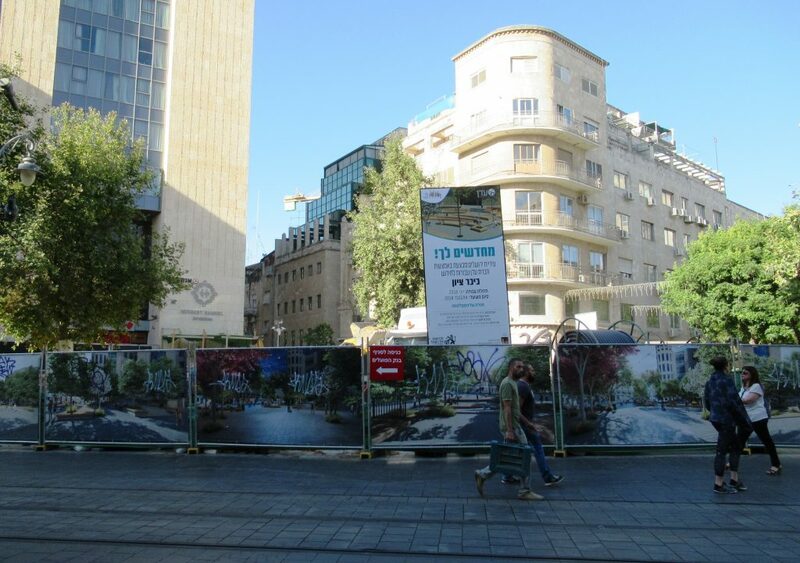 Or rather what was Kikar Zion; there was a large sign and it was fenced off from view. 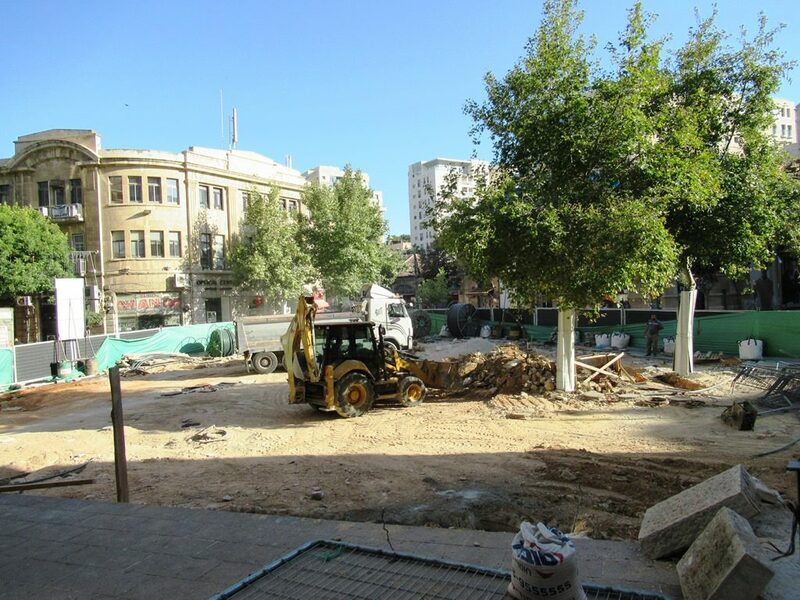 Inside the fence was a construction site, as the old Kikar Zion is getting a whole new look. 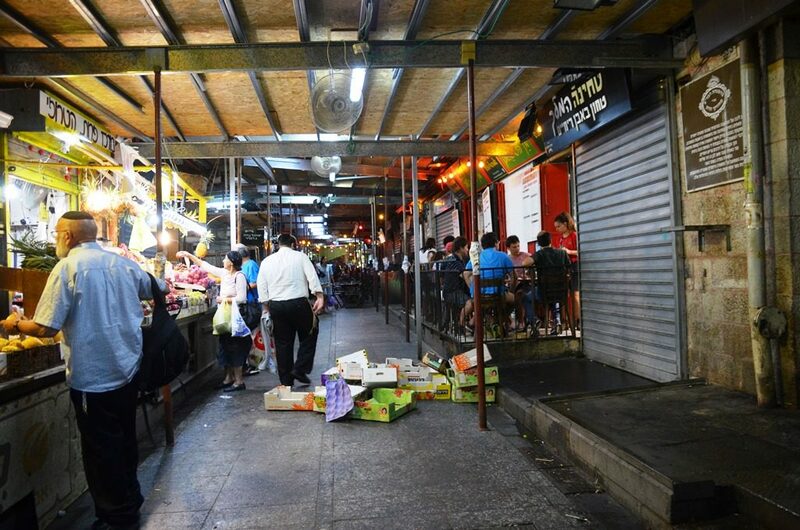 Back on Jaffa Road after dark, a man wearing a in red shirt was running and had a hard time negotiating his way through the crowds. 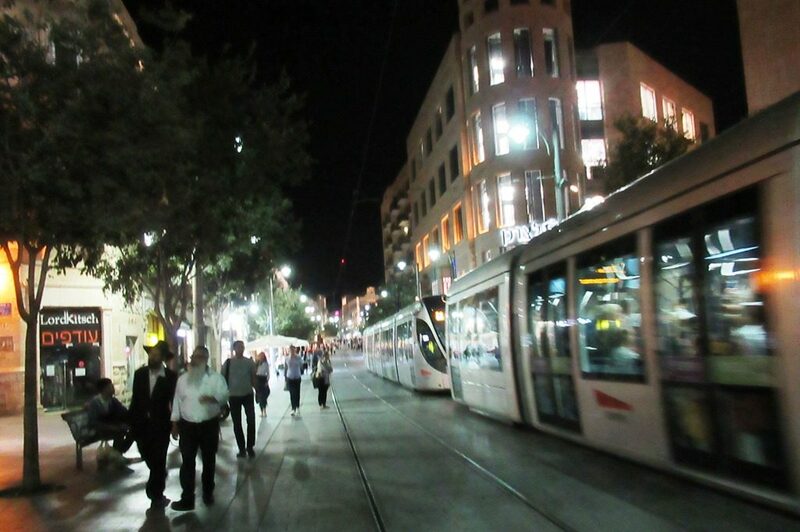 The Light Rail trains blasted their horns to warn people out of the way as they slowly made their way along the tracks. 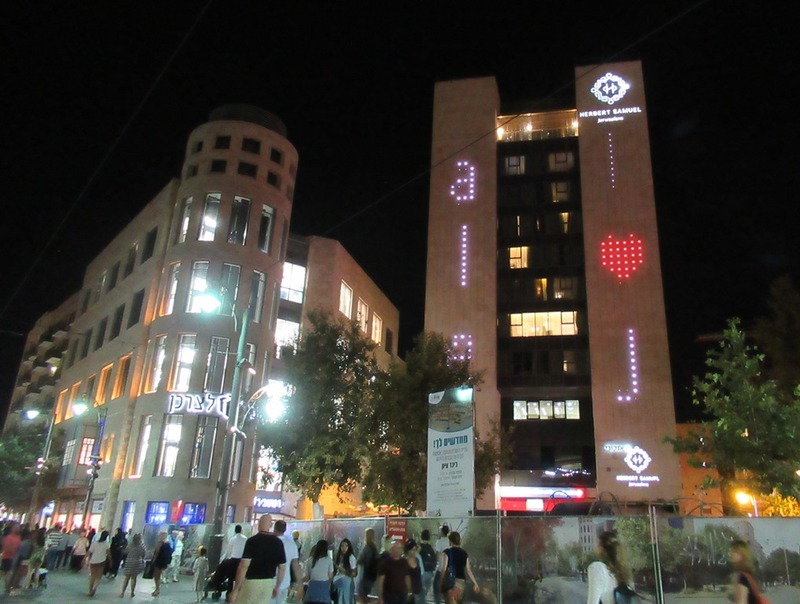 “I love Jerusalem” was repeated in lights, but it was hard to capture in one photograph. 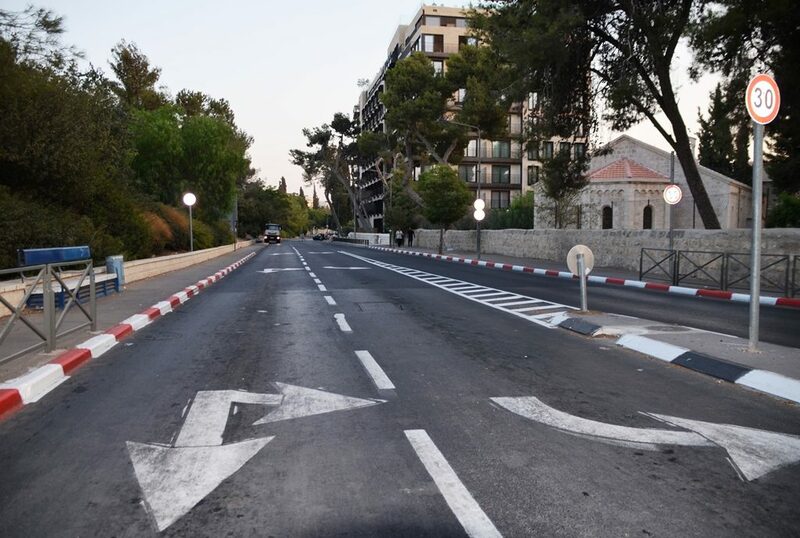 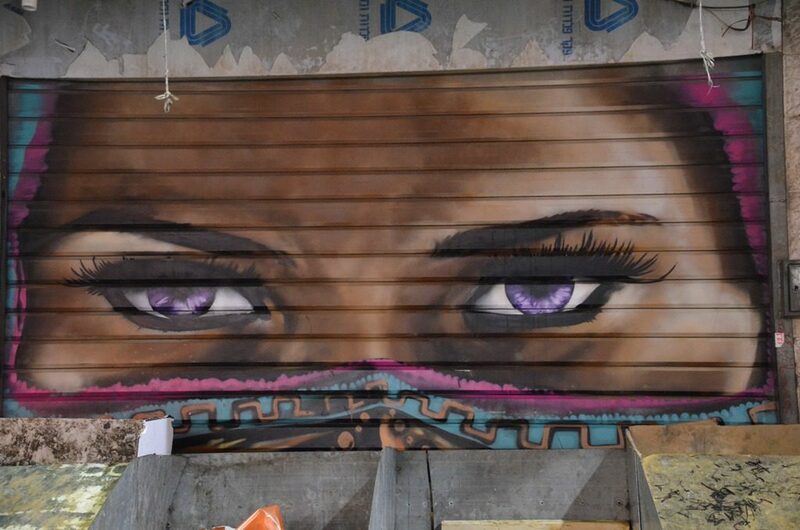 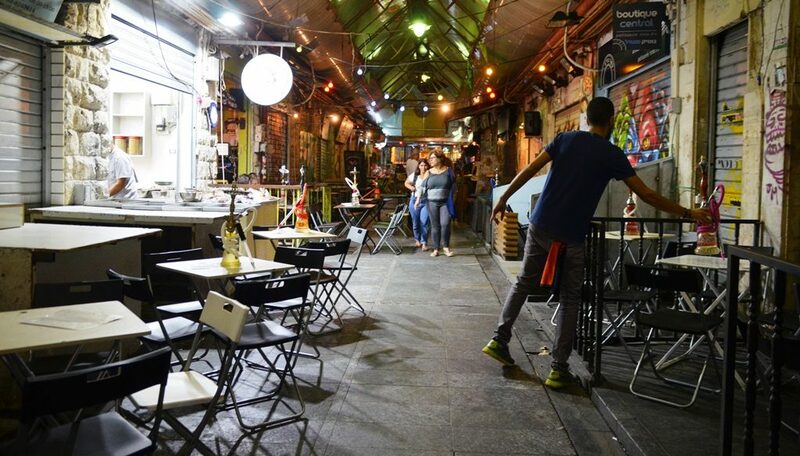 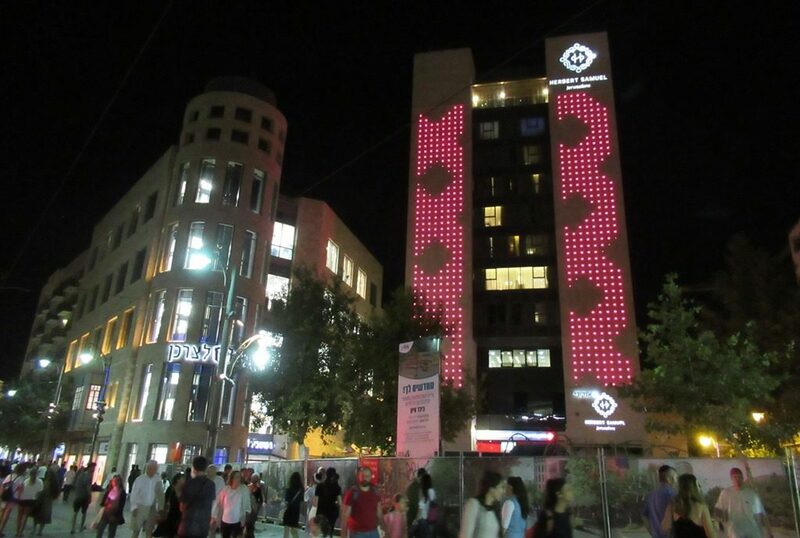 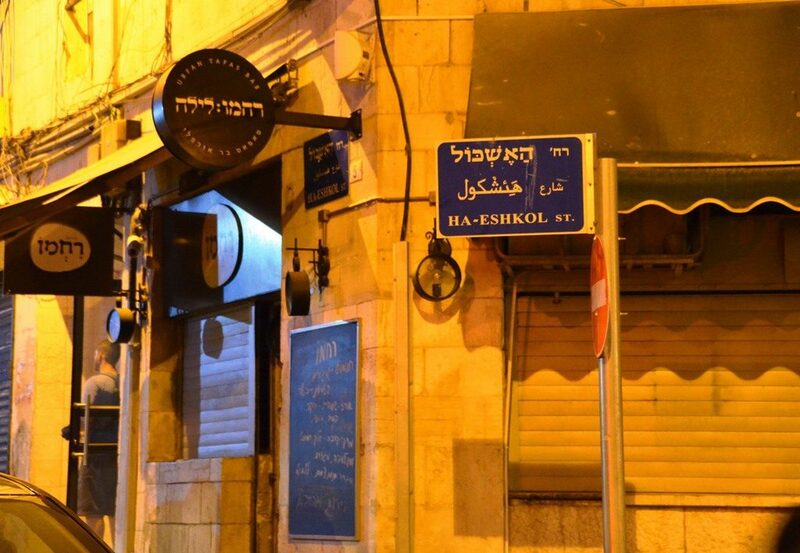 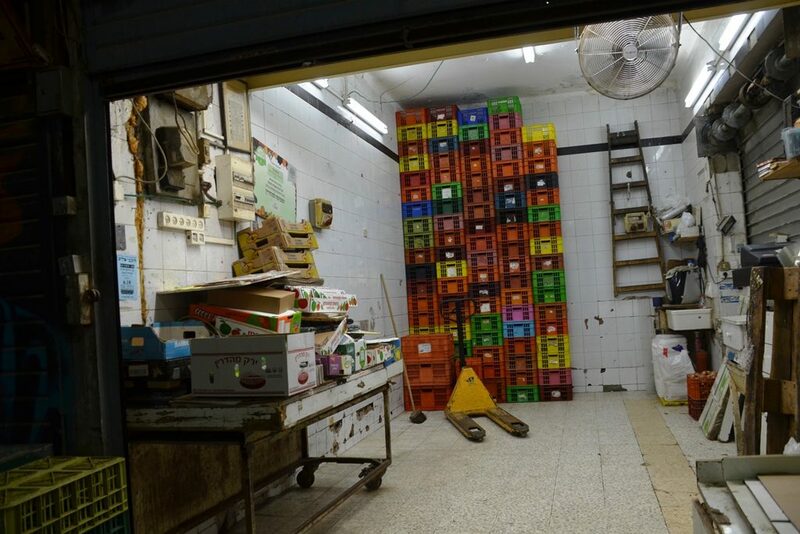 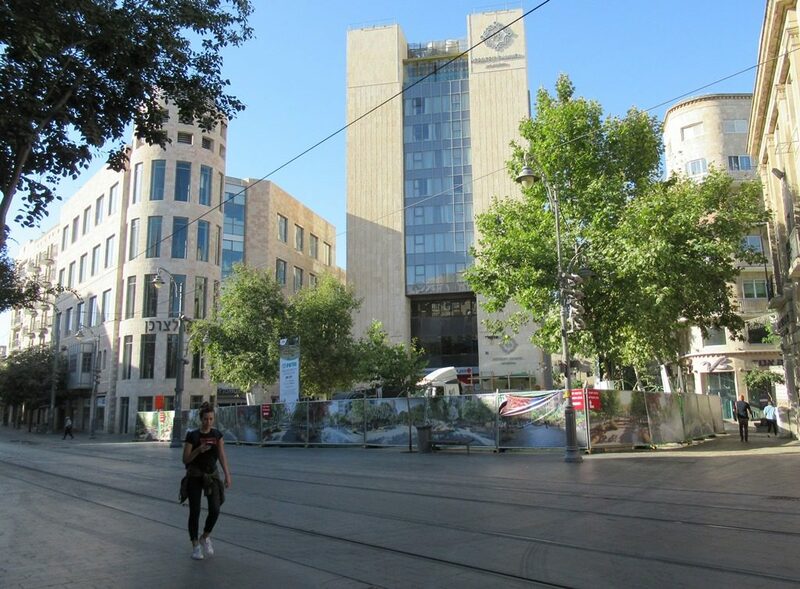 Old downtown Jerusalem is getting a whole new look. 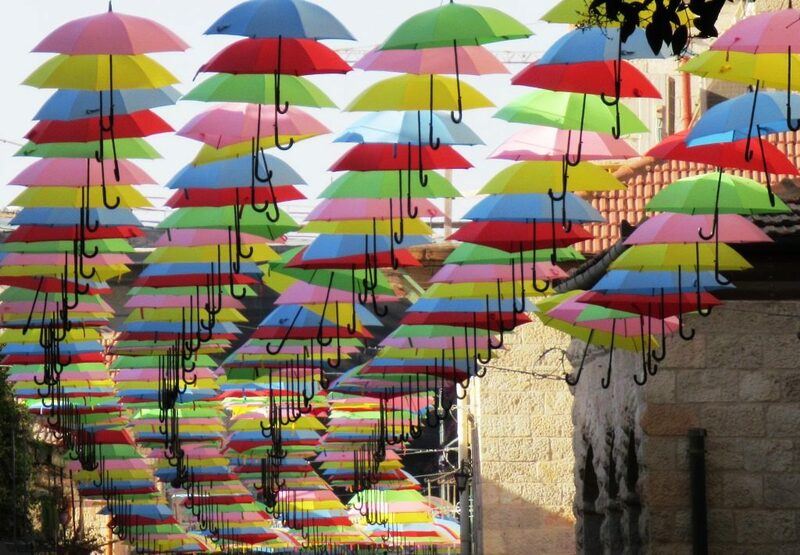 If you can find your way past the construction site to find Yoel Salomon Street, it is once again covered with colorful umbrellas. 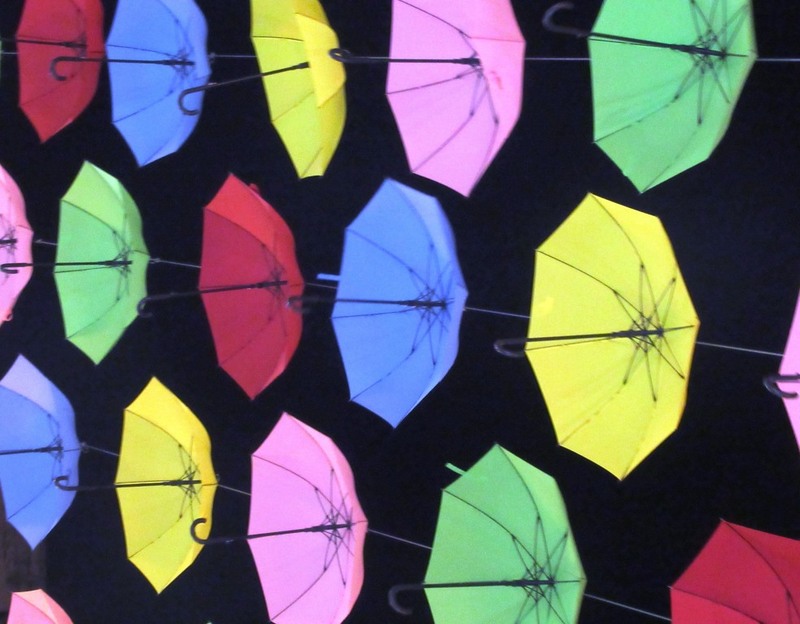 Old or new, the umbrellas make interesting photos against the night sky. 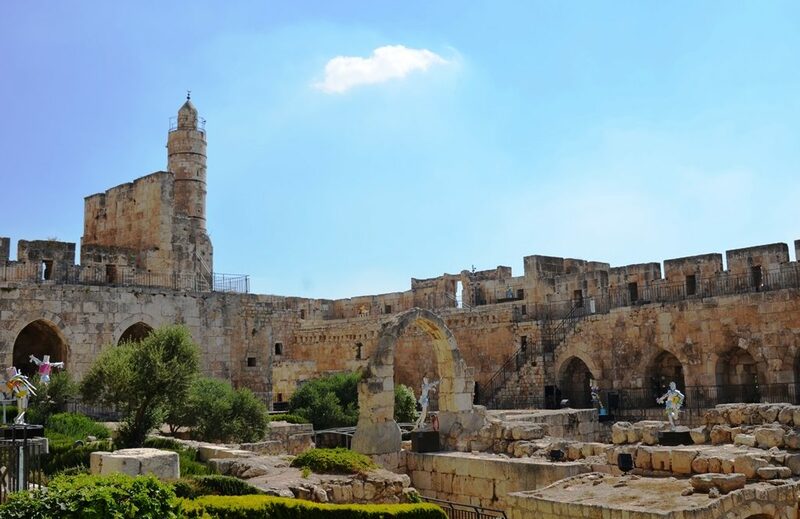 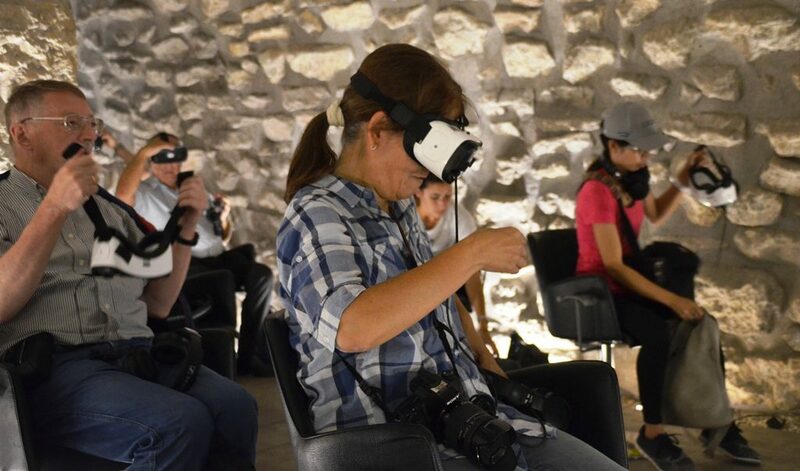 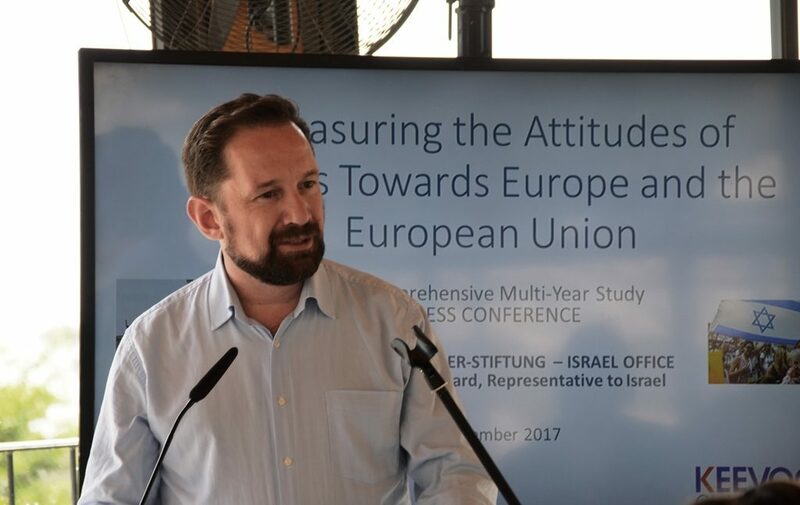 Once again, the very old Tower of David Museum is offering a new exhibition for the summer. 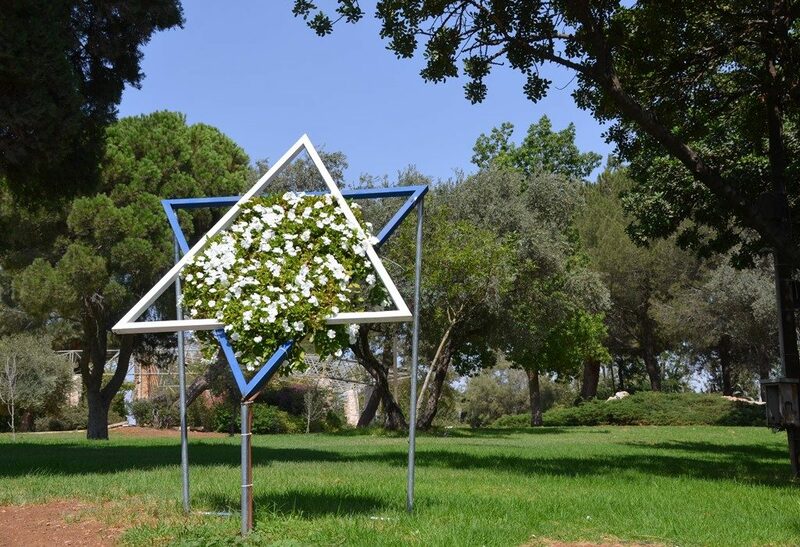 From the museum entrance, throughout the archaeological gardens and up to the citadel ramparts, there are nine new pieces of art. 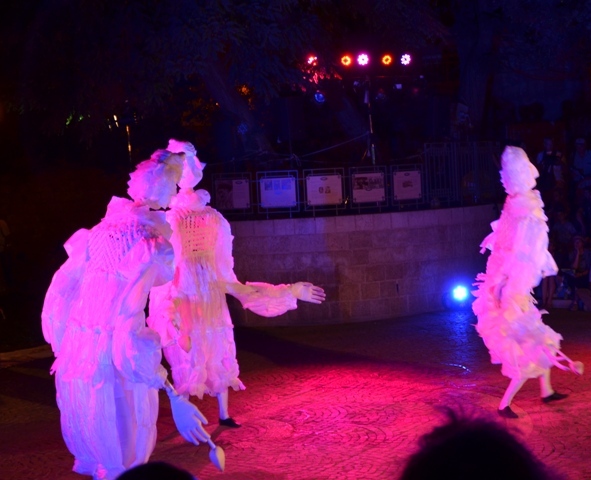 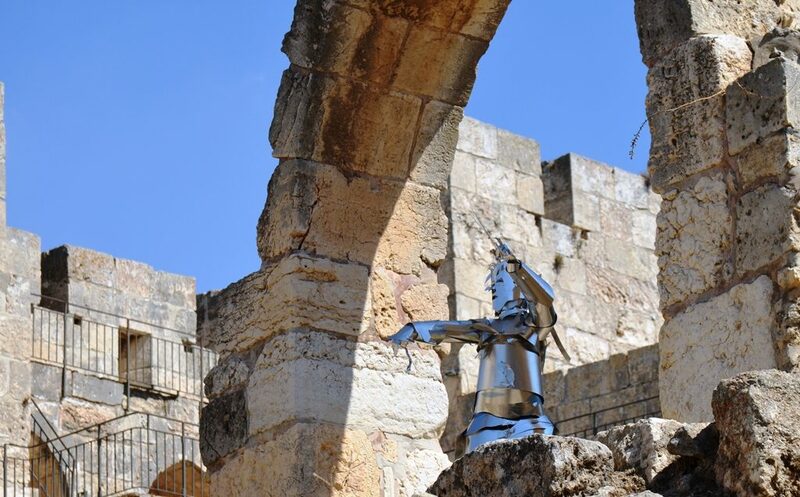 These aluminum sculptures were crafted by artist Karen Sargsyan, who brought 100 kilo of aluminum and 3,000 knives from Holland to create these Jerusalem historical figures. 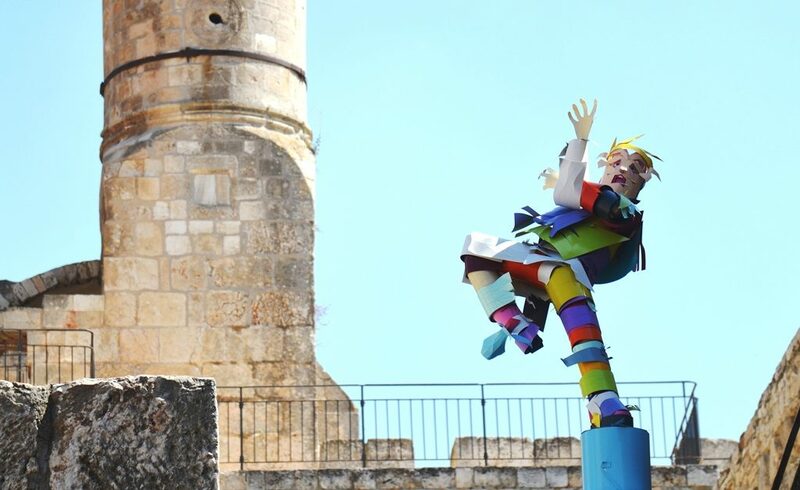 There was a colorful King Cyrus the Great with the citadel in the background. 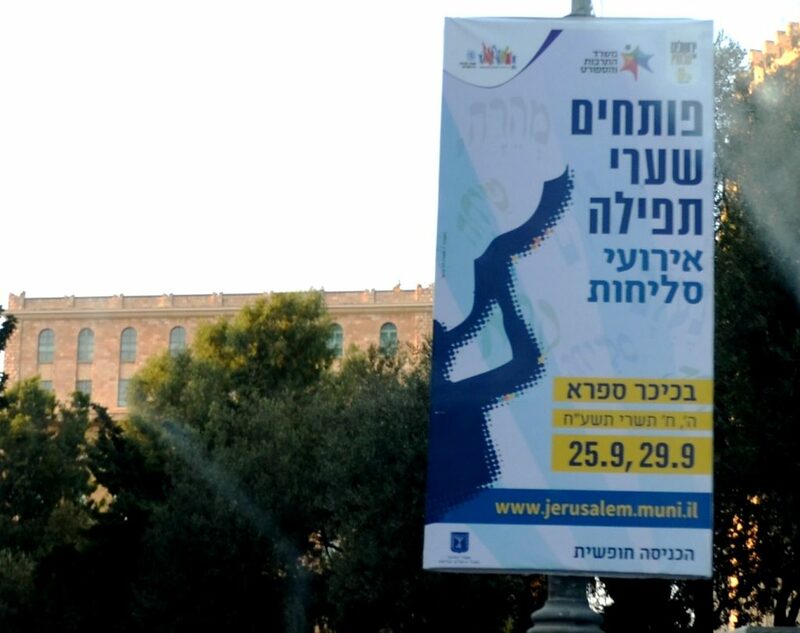 This man was not bowing down to the Queen of Sheba, but putting finishing details to the sign before the exhibit opened to the public. 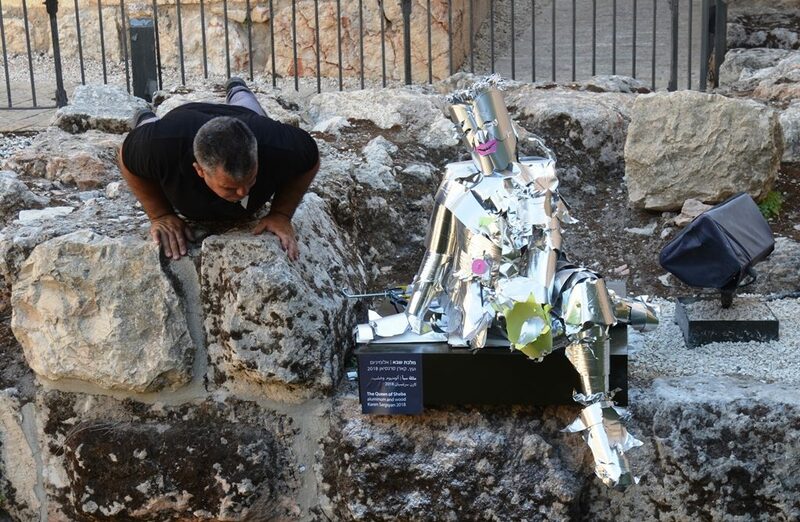 Of course in the Tower of David Museum, you will find King David. 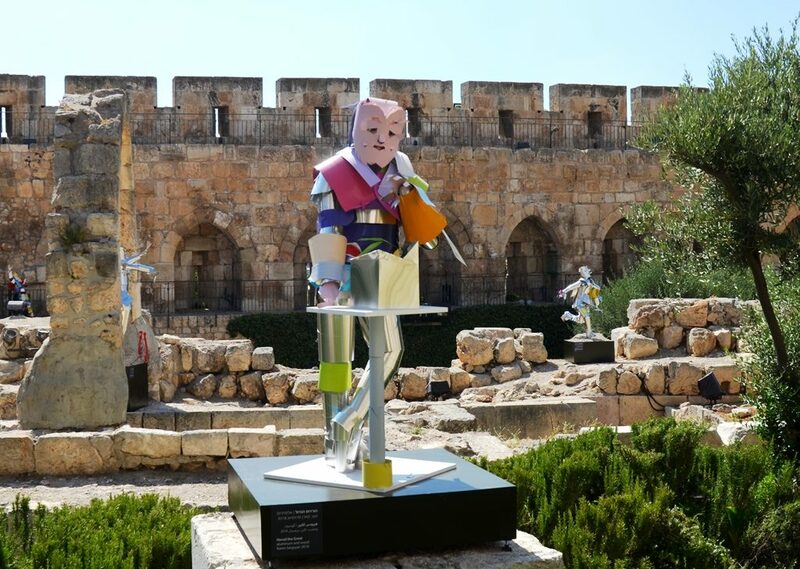 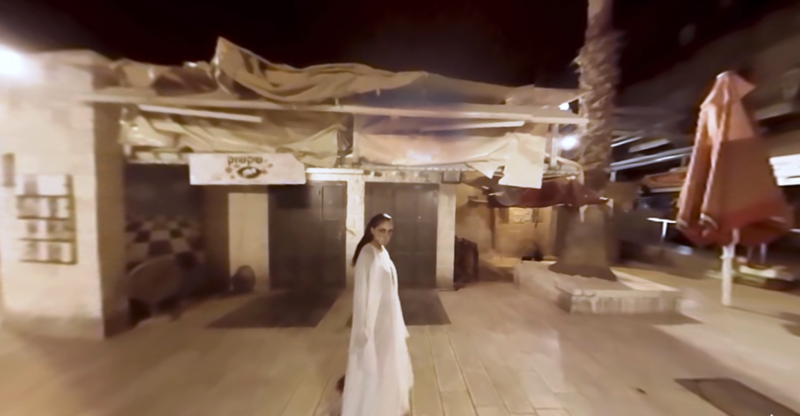 King Herod, the Builder of old Jerusalem, has a whole new look. 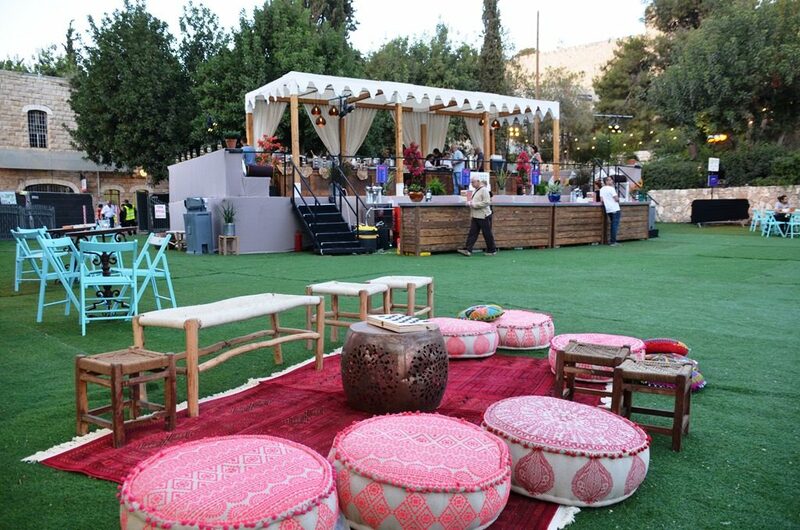 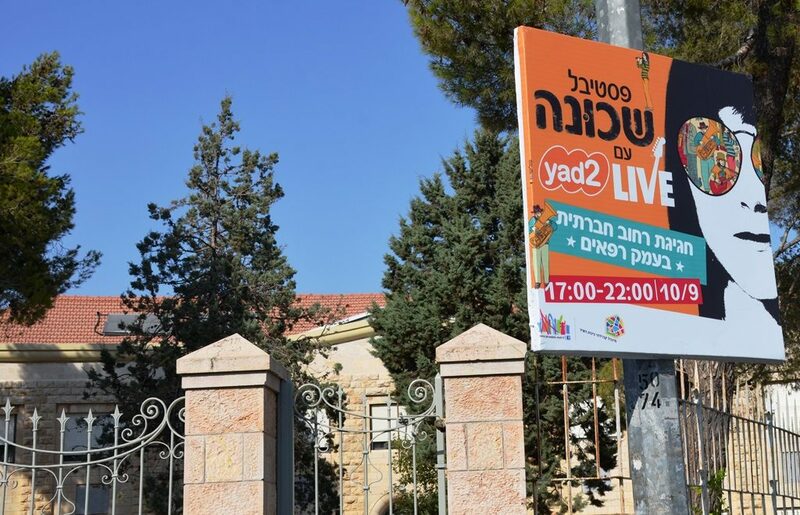 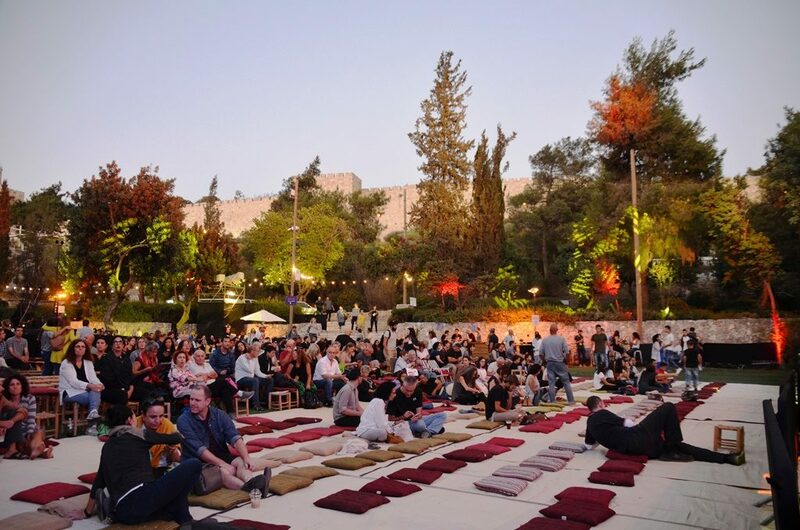 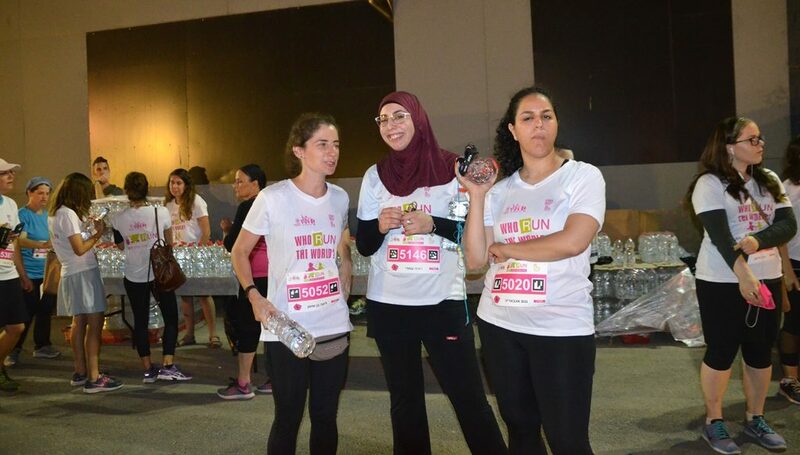 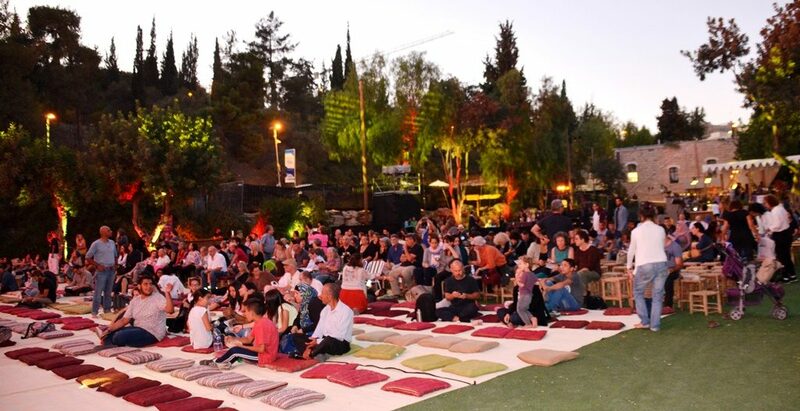 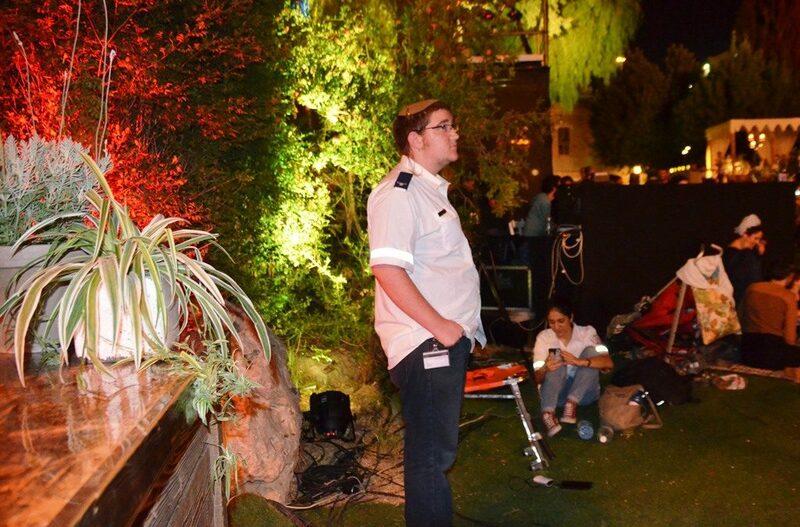 Children’s activities in an air conditioned tent, is a new idea that sounds good, plus from middle of July to end of August children are admitted to the Tower of David without an entrance fee. 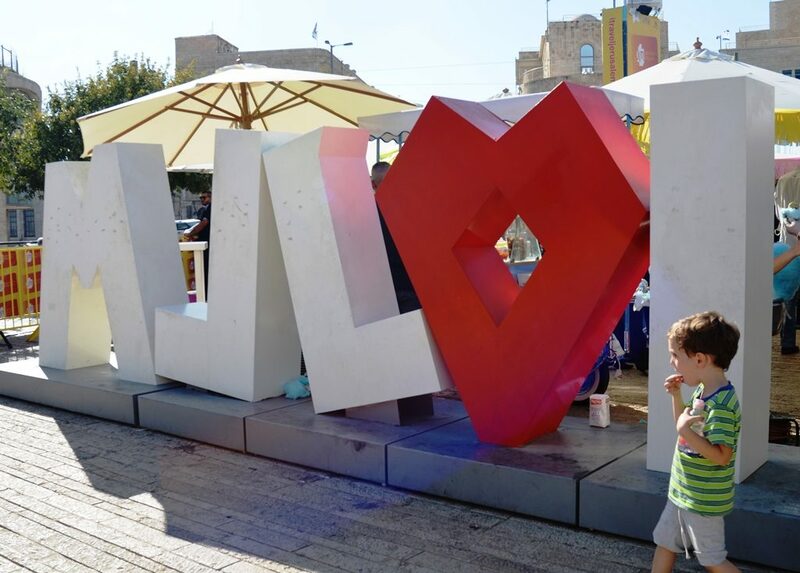 The old “I love Jerusalem” sculpture has been moved from Kikar Zion to new location in Kikar Tzahal, Zahal Square. 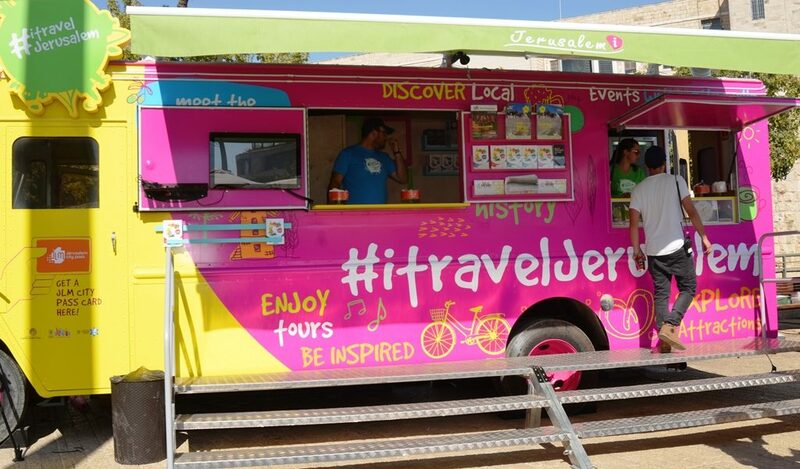 If you want to find something old or new in Jerusalem, Israel, the new colorful #itravelJerusalem tourist information trucks are out on the streets full of information. 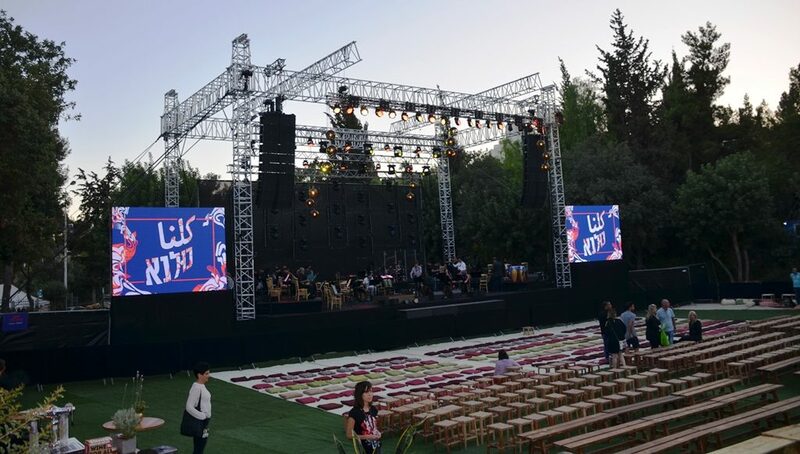 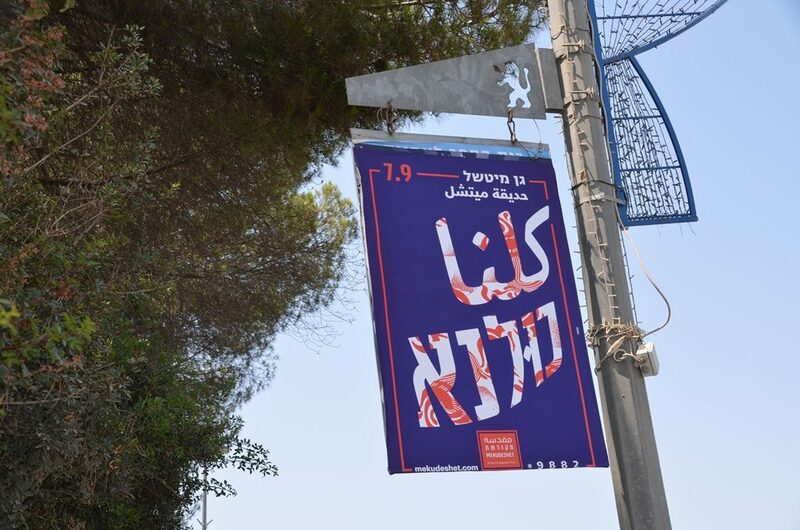 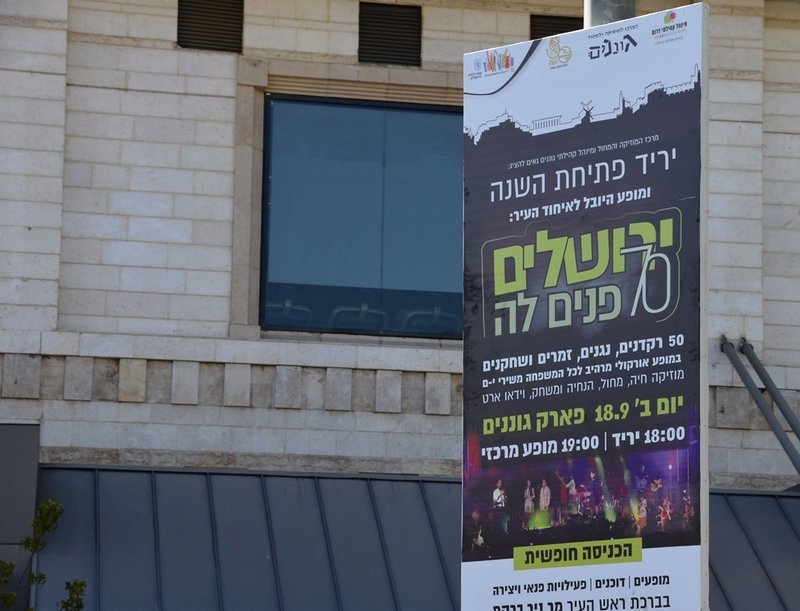 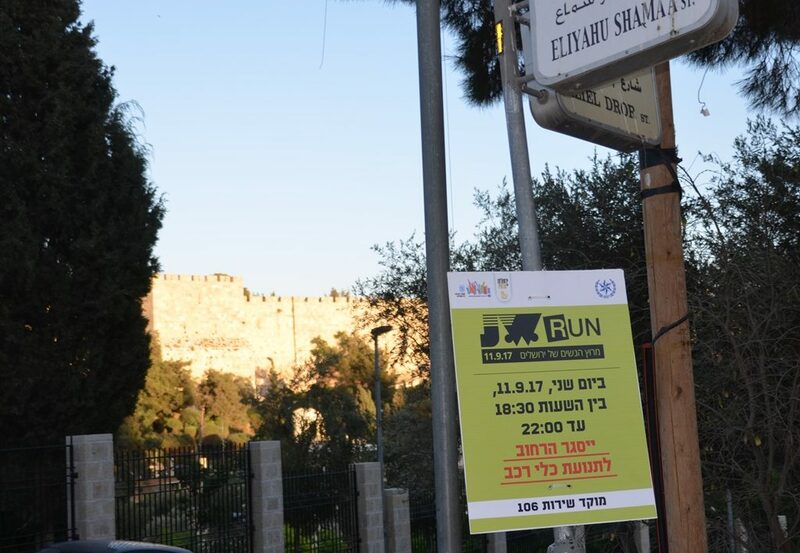 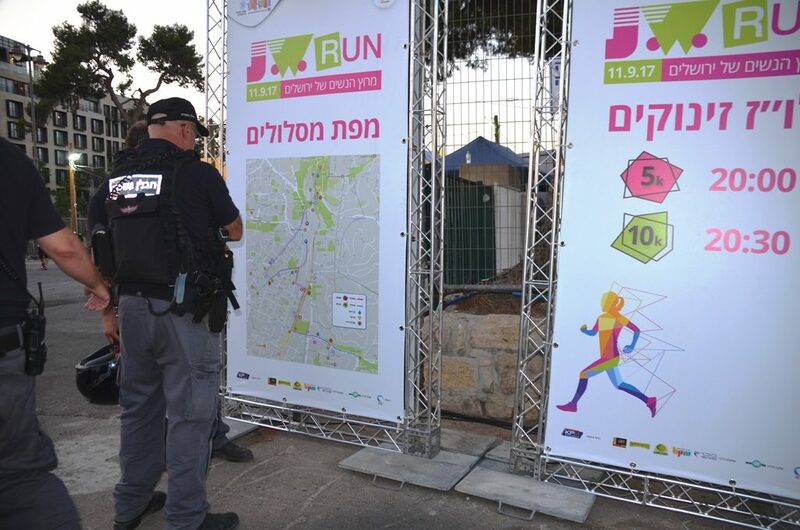 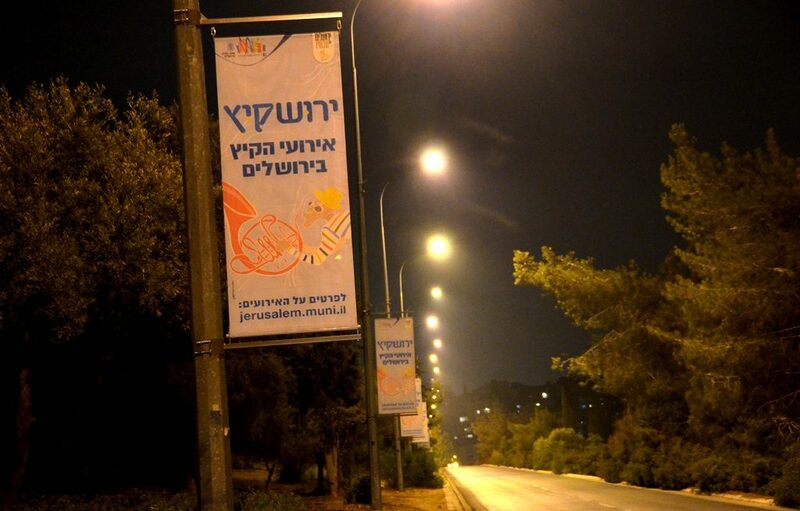 The trucks are distributing the new summer edition of Fun In Jerusalem. 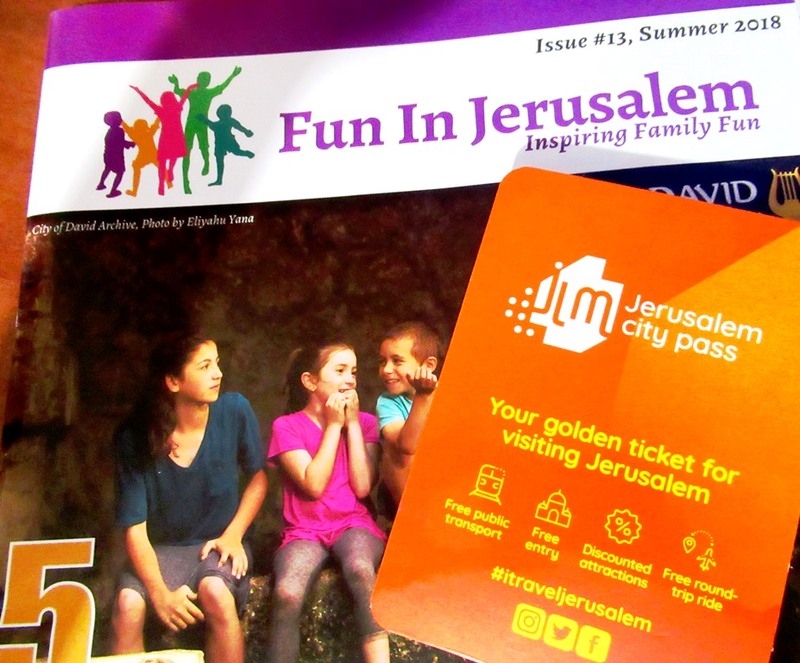 Also, selling new Jerusalem City Pass Cards, which enable tourists to ride on the Light Rail and city buses and to enter museums for the day both for free and at discount rates. 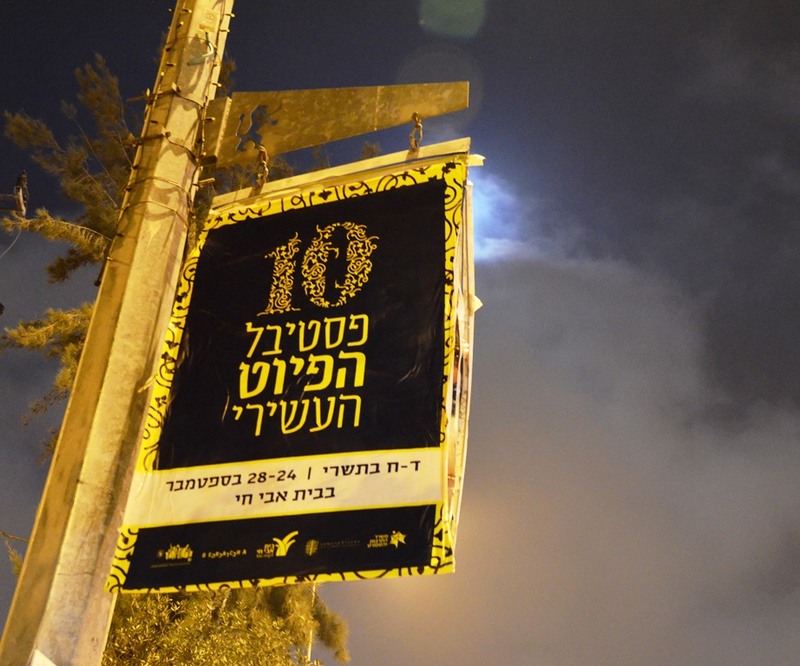 Mekudeshet cultural festival starts August 8. 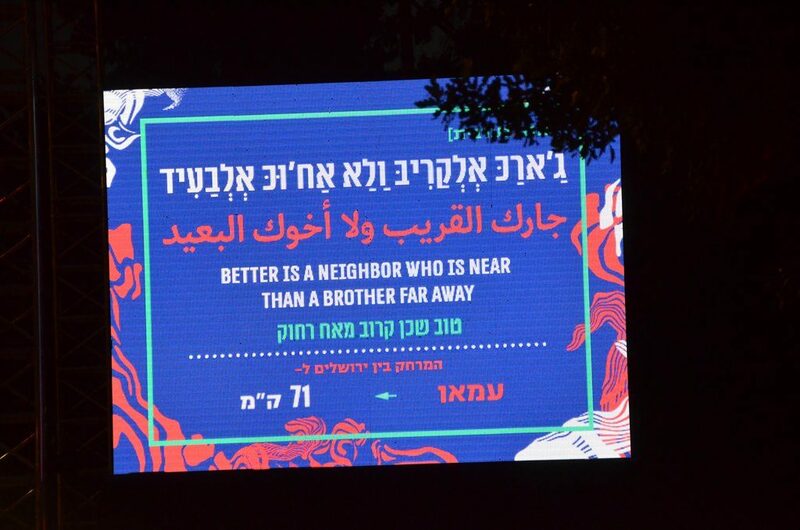 You can count on them for creative and new. 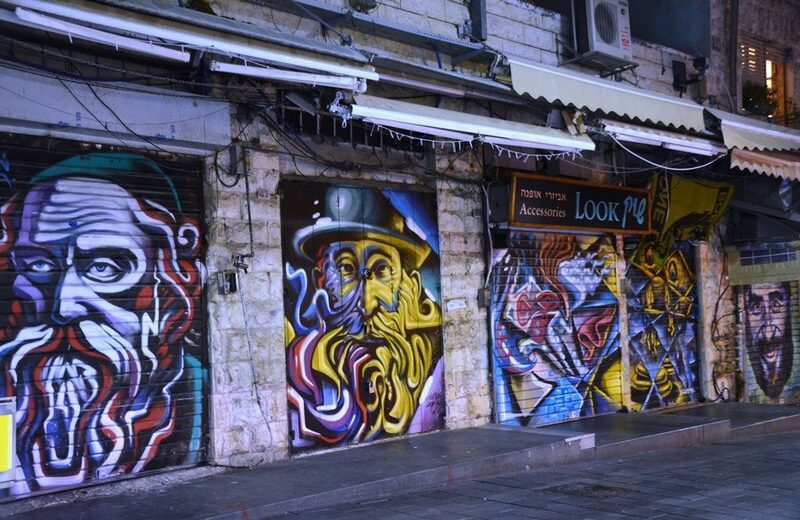 Old and new are coming together this summer off and on the Jerusalem streets.